Google ‘Berlin’ and ‘Fashion’, and you’ll probably find at least ten articles on “What to Wear to get into Berghain”. But there’s so much more to fashion in Berlin, and in recent years the city has certainly caught up with fashion capitals like Milan, Paris and New York. Forbes Magazine named Berlin ‘The Most Undervalued Fashion Capital of Europe’. Having spent the last three weeks here, I couldn’t agree more. Berlin’s unique style definitely contributes to the city’s special vibe. One thing that stands out immediately is that nobody really cares what you wear in Berlin – and people make full use of that indifference. Whether it’s strolling around Berlin Central Station in a studded bra and shorts, or going to work on a Monday morning in haute couture, people just wear whatever they feel like, and do so with confidence. This is what has inspired me the most since being here. Berlin is an empowering city: it makes you feel like you can achieve whatever you came here to do. As one of the fastest growing start-up hubs in Europe, Berlin is full of young, independent people from all over the world, with each individual contributing their unique style to the city’s eclectic fashion scene. 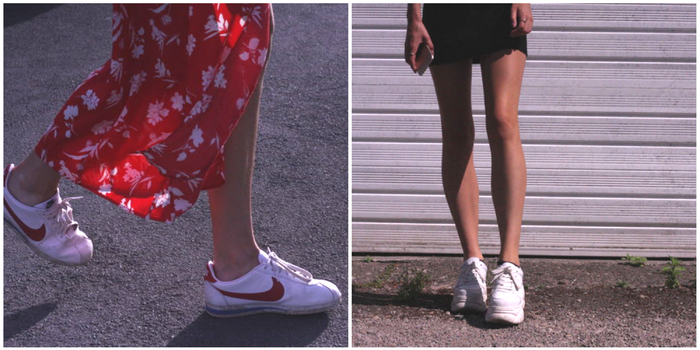 Everywhere you look, you’re inspired by the different combinations, or tempted to take a picture of someone’s outfit. In comparison to other fashion capitals, Berlin fashion is much more independent and free. You won’t see as many established luxury brands here as in cities like Paris or New York, but rather smaller, independent labels. One can spend hours rummaging around Berlin’s hidden treasures, from independent boutiques to second-hand shops. In general, the city feels very street style focused, as opposed to the haute couture you might see in Paris, or some of the more sophisticated looks you’ll find in Milan. A big part of this comes from Berlin’s international flair, with many different influences and cultures coming together to create a truly unique fashion scene. While you definitely see a lot of Adidas fanny packs, and while black-on-black-on-black seems to be the preferred colour scheme for most, there isn’t really one particular style, which just adds to the city’s unique charm. With its annual sustainable Green Fashion Week and the array of slow fashion stores scattered across the city, Berlin is also undoubtedly a trailblazer in sustainable fashion. Its bloggers and fashion enthusiasts attach great importance to sustainability and eco-fashion, and the city’s fashion scene is one of the most environmentally friendly in Europe. Like everything in Berlin, there’s so much more to its fashion than meets the eye. You can enjoy clothes and creative self-expression while still defending your values and beliefs. For me, travelling to a different place over the summer – whether it’s somewhere completely new or, like Berlin, a city that feels like home – also means switching up my style a bit. Cambridge has allowed me to figure out what fashion works for me, but it’s also exciting to try something different. I’ve noticed that whenever I’m in Berlin, I’m more open to new looks and more experimentation with jewellery and different fabrics. In that sense, Berlin seems to spark my creativity a lot more, and I feel like it gives me more room to explore my personal style. Berlin is one of my favourite cities for fashion. Seeing as most of my wardrobe consists of different variations of grey and black, and as I’m a big fan of oversized looks, I feel quite at home in the sea of casual-chic street style. At the same time, strolling through the streets of Berlin offers a constant stream of new ideas and inspiration. Berlin has inspired me to incorporate its more mature vibe into my personal style: not frilly dresses or boring blazers, but an overall elegant, put-together and, most importantly, confident look. Berlin allows me to take the expression of my personal style one step further, and to refine it and develop it by trying out new things. To me, that makes it the perfect place to spend my time away from Cambridge, a place to explore my creativity as well as my love for fashion.